Russian Priest vestments by Istok Church Supplies Corp.
Russian priest vestments supplies are a mainstay at Istok Church Supplies. Each vestment is a labor of love that is intended to uphold the piety and solemnity of the wearer’s place in the community. We offer a wide variety of richly embroidered orthodox Russian priest vestments in all traditional colors including black, blue, violet, purple, red, white, yellow and claret. Tradition espouses that Priests belonging to the Russian Orthodox Church wear special vestments for various ceremonies. While providing elegance and beauty to the post, vestments have another very important function. It is believed that God aids Priests in their duties and vestments are symbolic of the strength and courage they receive. By wearing a richly decorated liturgical vestment, a Priest can channelize courage and strength required for performance of duties. Our high quality garments may be produced using modern technology but we are committed to offering traditional designs as laid down by the canons of the Orthodox Russian faith. When it comes to the quality of fabric and workmanship, we are second to none. We pride ourselves on offering Russian Orthodox Priest vestments for sale that are comfortable, easy to maintain, durable and visually pleasing. Customers can choose from a wide variety of attractive color combinations, patterns and designs. Our standard sets of vestments consist of phelonion, belt, epigonation, nabedrennik, epitralhilion and epimanika. A broad selection of variations and options are available to suit the customer’s requirements and budget. 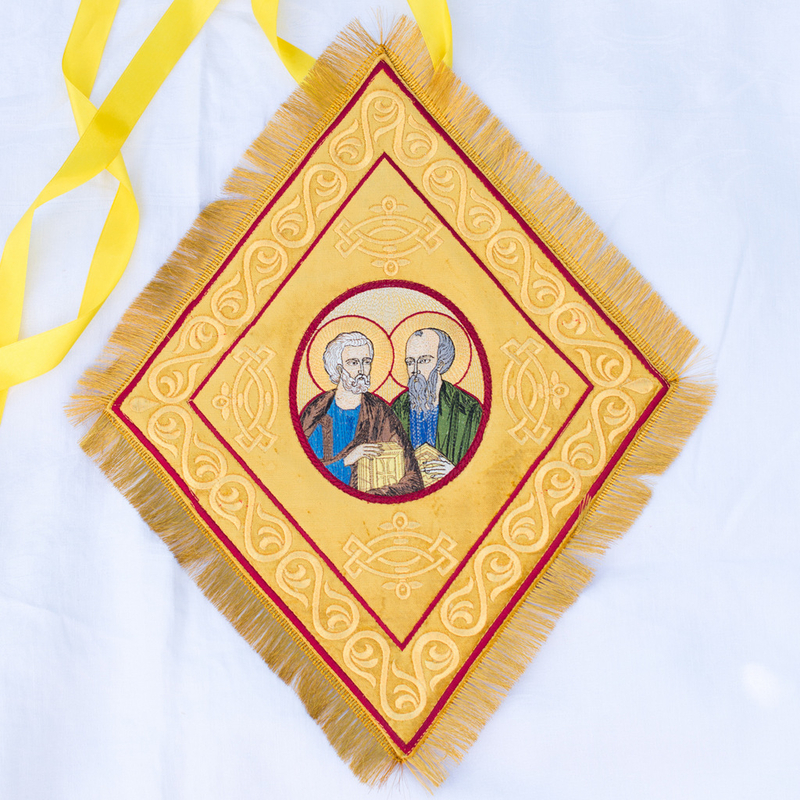 It is essential for the wearer of the liturgical vestment to feel comfortable while using it. For this reason, we provide a measurement chart along with instructions on how you can measure yourself correctly. Once you send in your measurements, we will ensure that the vestment is tailored to your exact specifications. We invite you to browse through our collection of Russian priest vestment supplies, select your options and submit your request.